Today is traditionally a day on which we make resolutions. With recent headlines like 10-year-old girl weighs 22 stone, I’m sure many will be planning to loose weight. 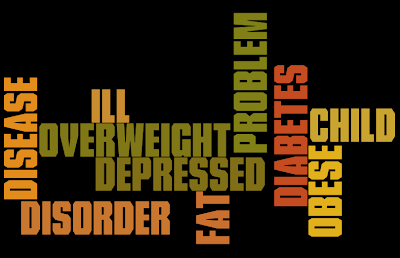 Why is obesity such a problem? This report tell us that people living in the poorest neighbourhoods will, on average, die seven years earlier than people living in the wealthiest neighbourhoods! 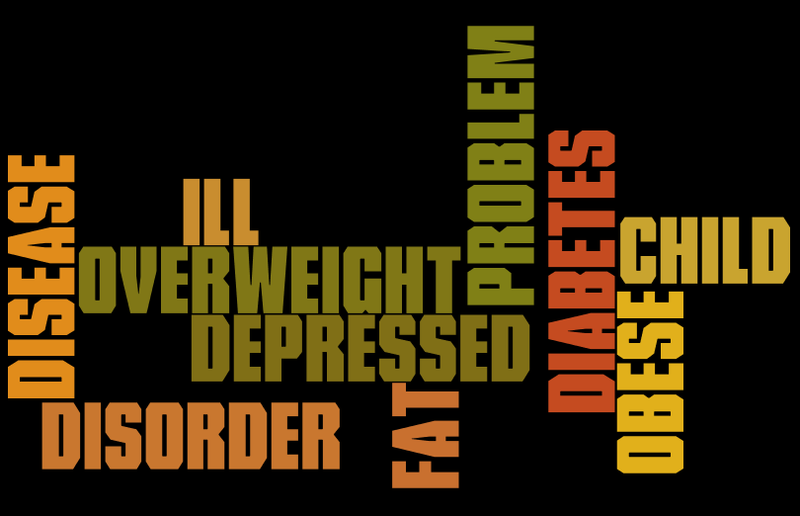 The reasons seem to be poor education and bad diets. The better off spend more on fresh fruit and vegetables, whereas the worst off spend more on processed foods. 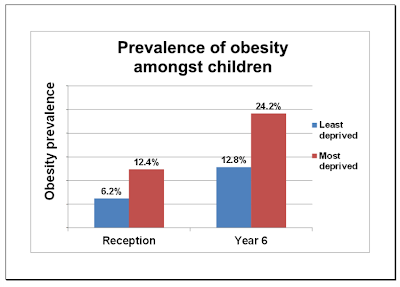 At the same time, people with the least income in general do less physical activity. 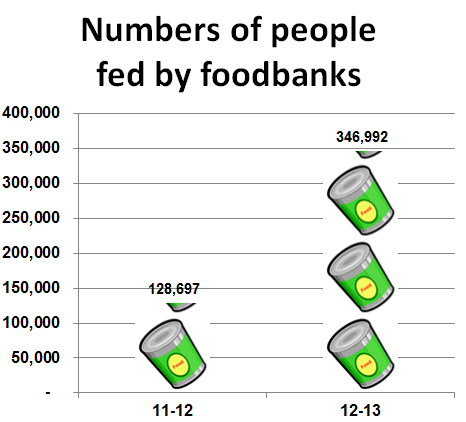 It’s also worrying how many people are now relying on food banks in the UK. According to the Trussell Trust 346,992 people received emergency food from food banks in 2012/13 – a 270% increase on the previous year. Many food banks don’t accept fresh produce, as they can’t easily handle it. I’m pleased to see the Trussell Trust is now trying to teach people how to cook when on a low budget, and provides advice on food budgeting, hygiene and nutrition. A report from the Institute for Optimum Nutrition, point out that people below the poverty line find it hard to afford healthy food, which they reckon can cost up to 50 per cent more than filling but nutritionally poor alternatives. So who do I blame for the mess we’re currently in? Friends who work in the food industry say they’re keen to provide nutritionally sound, affordable meals. However a Consumers Association report on breakfast cereals last year points out that 32 out of the 50 cereals they looked at were high in sugar. In only two cases was this due to the fruit they contained; for the rest it was added sugar. It’s interesting how big food manufacturers have refused to use traffic light labeling. Maybe that’s why we worry about whether to buy full fat milk (which actually is skimmed to contain 3.6% fat) whilst eating crisps that have over 30% fat! Teachers try and do their bit – but I don’t think it’s the first thing that OFSTED ask about. Politicians will love to say they’re doing something about it. However they seem more interested in scoring political points off each other, rather than getting together and making sure something is done. According to data from Kantar Worldpanel, they have 75.2% of the market. 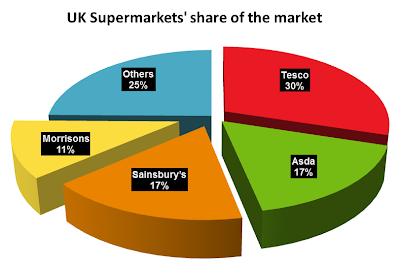 Bear in mind that the Co-op, Waitrose, Aldi and Lidl are in my “Others” category. This means we now buy very little today from small independent shops. I think this is why we now exist on foods from factory farms, and rely on artificial additives and preservatives to give taste and extend shelf life. Good markets and greengrocers (traditionally the source for fresh and healthy fruit and vegetables) can be hard to find in many areas. Our over-worked doctors haven’t got enough time to discuss healthy eating, so prescribe statins etc. to reduce cholesterol, and medications to reduce blood pressure. If you find all this depressing, well they’ve also got tablets to help you with that! Thankfully organisations like the The Kindling Trust, with projects like Feeding Manchester, and the Plunkett Foundation, who led with Making Local Food Work, are making a difference. I hope you’ll support initiatives like these. I agree with you, especially about food labelling. It’s even worse on alcoholic drinks – where they don’t have to declare the ingredients. Keep up the good work, promoting local food! Previous Previous post: Farewell 2013! Next Next post: Manufacturing trouble?